In the ultimate betrayal, one’s own immune system can turn against the protective sheath that envelops neurons in the brain, leaving the body paralyzed. 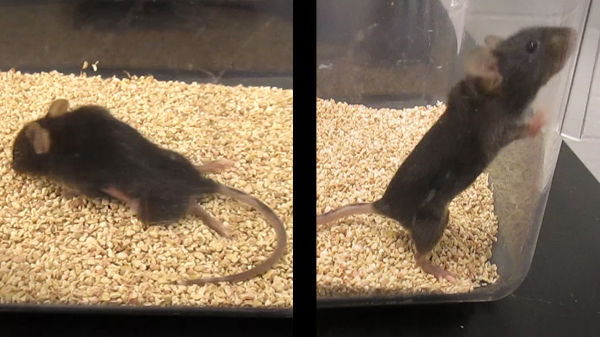 Researchers have developed an experimental treatment that tames the wayward immune system in rodents, returning the power of movement to paralyzed mice. The approach may someday combat autoimmune diseases, such as multiple sclerosis and type 1 diabetes, in humans. The researchers will present their work at the 253rd National Meeting & Exposition of the American Chemical Society (ACS). By considering how the immune system works, Jewell’s team at the University of Maryland set their sights on the lymph nodes as a possible target for creating a specific immune response. In autoimmune disease, a body-roaming immune cell recognizes an antigen — a molecule that the cell in this case falsely identifies as a piece of a foreign invader — and brings it to the lymph nodes, where another type of immune cell, the T cell, is then programmed to attack the antigen. For example, in multiple sclerosis, T cells are taught to recognize and attack the myelin sheath. Jewell thought it might be possible to prevent the T cells from learning bad habits by delivering an immune-system modifying agent directly to the lymph nodes. The researchers injected these particles into the lymph nodes of paralyzed mice exhibiting a mouse model of multiple sclerosis. The particles slowly reprogrammed the environment of the lymph node tissues to generate immune cells that migrated to the brain to stop the attack against myelin. These mice regained the ability to walk, and the effects lasted for the duration of the study, which was about 80 days. The mice were also able to readily respond when foreign molecules were introduced, suggesting that the treatment didn’t compromise normal immune function. As a next step, the researchers have been testing the idea in other mouse models of autoimmune disease, including transplant models and models of type 1 diabetes — a disease in which the immune system attacks the pancreas. Later this year, the group will team up with clinicians at the University of Maryland Medical School to begin tests in non-human primates, another step closer to investigating this idea as a future human therapy.